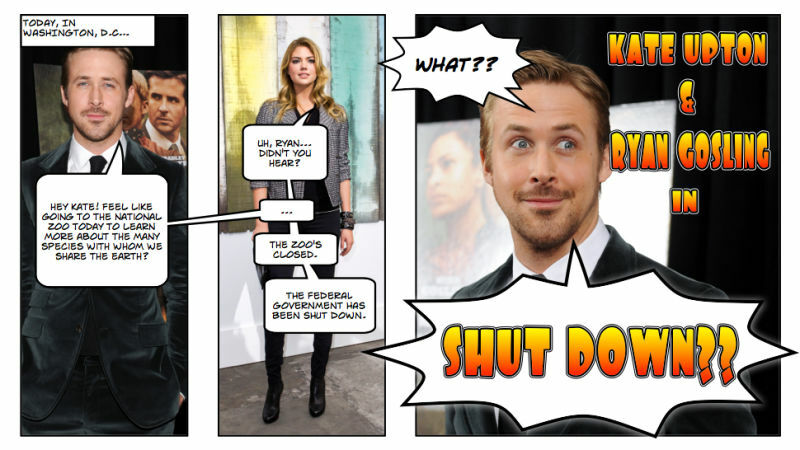 Did you know the federal government shut down last night at midnight? 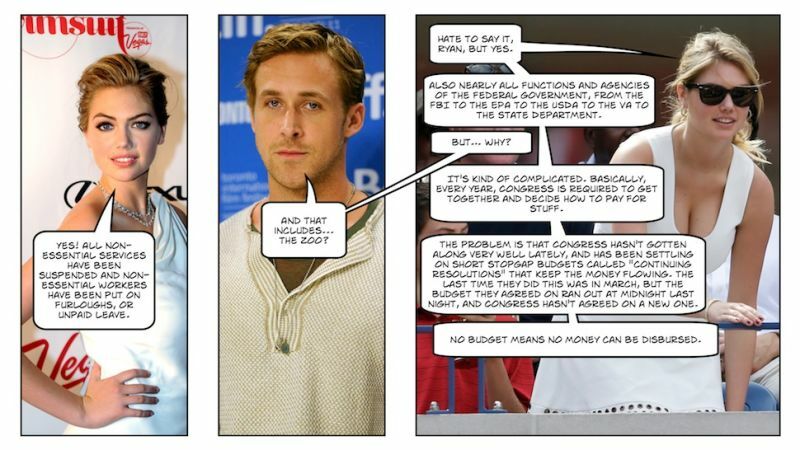 Do you have any clue why, or what that means? 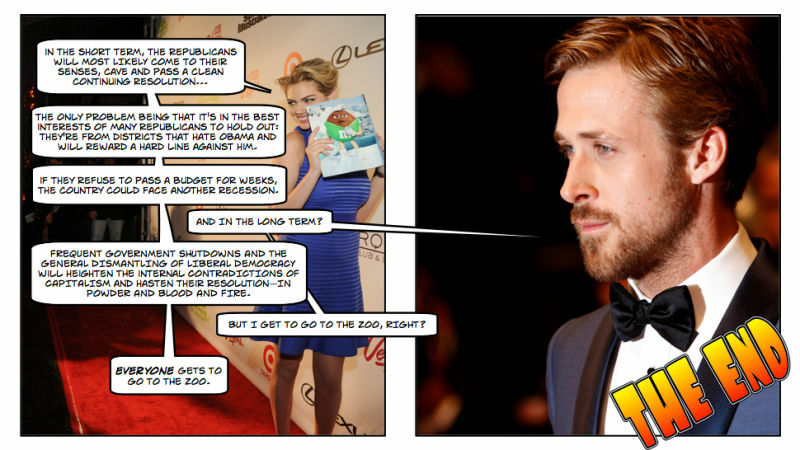 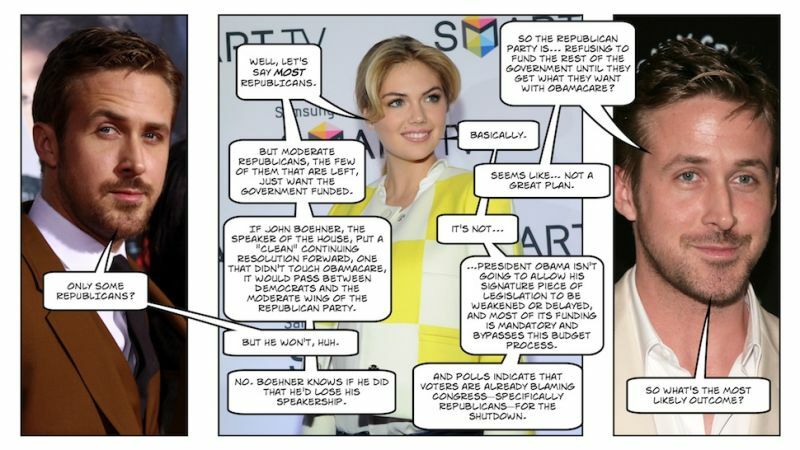 It's okay if you don't: Ryan Gosling and Kate Upton—last seen explaining the sequester—are here to help you understand.